NEW! Study abroad program on The Age of Migration in Oslo and London, Summer 2017. Explore current and historical migration issues in Oslo and London, two global cities that house a large number of immigrants. We will spend extended time in both cities, studying their immigration histories and current migration issues through guided field trips and small field assignments. In Oslo, students will learn about the legacies of the Viking explorations and the more recent migrations of Somalis, Pakistanis, Poles, and Swedes into Oslo. 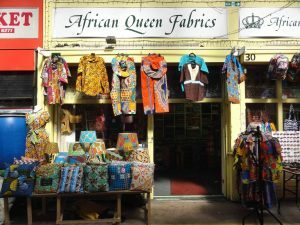 In London, guided tours will explore migrant settlement in three historic neighborhoods, Brixton, Brick Lane, and Kilbury. The course will be held online June 1-6, 2017, followed by a stay in Oslo and London from June 8 to July 2nd 2017. For more information, contact Dr. van Riemsdijk at vanriems@utk.edu. Click each of their names to read more about their time abroad.